It seems to be the current trend in South Korean films to take a modern-day disaster movie setting and place it in the Joseon period. After seeing a giant creature attack the country in the upcoming “Monstrum”, the Joseon period will now be having to fight the undead in director Kim Sung-hoon’s next film “Rampant“. Yi Chung is a Prince of Joseon, but he has been given as a political hostage to the Qing Dynasty. He enjoys boozing, womanizing and gambling. He is also an excellent swordsman. His older brother Yi Young will succeed to the throne and brings Yi Chung back to Joseon. He returns after more than 10 years. Soon, Yi Chung faces monsters that run rampant in the night. Hyun Bin is likely to see the year out with a bang, having the hostage thriller “The Negotiation” releasing in September followed swiftly by “Rampant” in October, 2018. 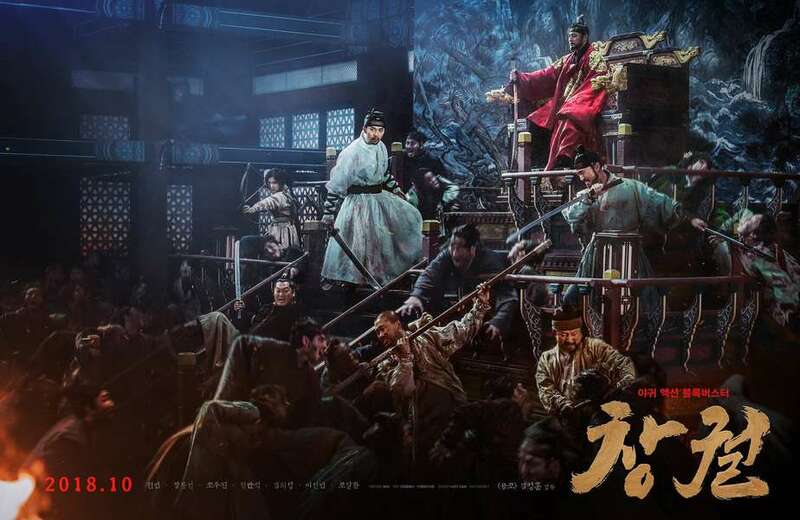 Directed by Kim Sung-hoon, who last worked with Hyun Bin in 2017 action comedy “Confidential Assignment“, “Rampant” also stars Jang Dong-gun (“Taegukgi: The Brotherhood of War“, “My Way“), Lee Sun-bin (“The Princess and the Matchmaker“), Kim Eui-Sung, who also ran from zombies in “Train To Busan” as well as Jung Man-sik (“Miracle in Cell No. 7“, “Asura: City of Madness“).